Gynecologist. 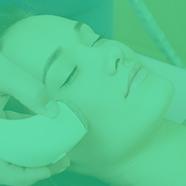 Aesthetic Physician, Laser and Anti-aging Medicine. Medical Director of the Laser Aesthetic Teaching Center "Korpo Laser". Caracas. Venezuela. - Kendall, Florida USA. Member of ASLMS, SELMQ, AACS, IUGA, SARGE, UIME, IAAGSW, ESAG, SOLAGEF. Light and energy based therapeutics for genitourinary syndrome of menopause: Consensus and controversies. The International Society of Cosmetogynecology is the world’s first and largest association of gynecologic specialists in female cosmetic medicine and surgery. The mission of the International Society of Cosmetogynecology (ISCG) is to promote the advancement of knowledge, skill and excellence in female cosmetic medicine and surgery through education, training and fellowship.